Georgetown KY’s Top Choice Professional Onsite Computer PC Repair, Network, and Voice and Data Cabling Services. Computech Technology Services of Kentucky provides high quality professional onsite technology services throughout Georgetown and the entire Scott County area, including the outer regions covering Centerville, Paris, Versailles, Frankfort, and Lexington KY. Our experienced, industry certified onsite computer repair technicians can provide full installation, configuration, troubleshooting & repair for your PC and all of your tech devices, including full support for workstation terminals, desktop & laptop, enterprise servers, point of sale, and even printers. Our professional network technicians can provide full network installation, configuration, troubleshooting and repair of your local network router, switch, ISP modem, VoIP, and wireless wifi access points, including complete cat5e and cat6 inside wiring for voice and high speed data network support. Our experienced cabling pros can troubleshoot and repair your existing low voltage network cabling, or pull entirely new cabling from 1 to 1000 drops in any old or new construction locations quickly and professionally. Give us a call today and find out why so many Georgetown and surrounding area businesses and residents rely on our superior onsite technology services to keep their computers and computer networks up and running like brand new! (859) 780-3020. Georgetown KY’s Best On Demand Onsite Computer Repair Services. Computech Technology Services provides superior onsite computer PC repair services throughout Georgetown and the surrounding area. Our industry certified onsite computer repair technicians are background checked and fully vetted to provide only the highest quality onsite technology services to our commercial and residential clients. Whether you are having a complex hardware or software issue preventing your PC from booting due to a bad motherboard, power supply, RAM, or a failed hard drive, or having a more common issue requiring PC optimization, or virus, adware and malware to be removed, we are your go to on demand technicians in Georgetown. Our technicians are mobile and travel directly to you to perform professional onsite computer repairs in the comfort of your home or office. With a single phone call to our office we can schedule a same day visit, so you never have to lug your expensive desktop or laptop in to some local shop for service, or wait on hold to schedule some “geek”, “guru” or “pc doctor” to tell you it’s broken and then charge you an arm and a leg for stating the obvious. We provide professional onsite technology troubleshooting and repair services for commercial and residential customers in Georgetown that are easy and affordable, it’s just that simple. Give us a call today and let us fix your PC the professional way! (859) 780-3020. 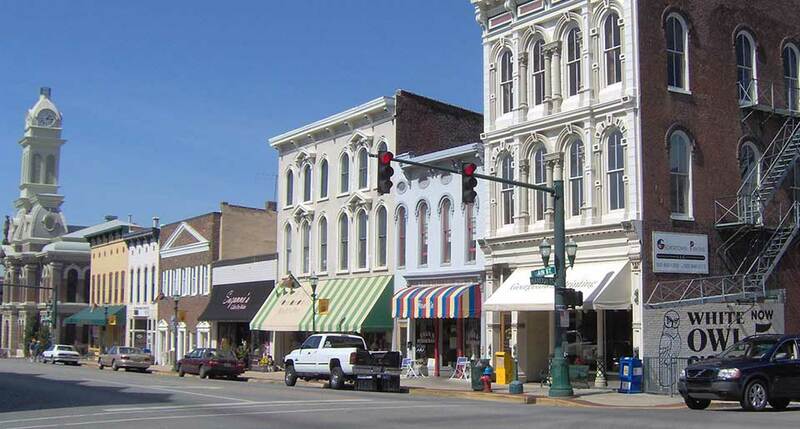 Georgetown KY’s Superior Onsite Network Installation, Repair, Voice and Data Cabling Contractor. Computech Technology Services provides superior onsite services coverage for all of your network needs in Georgetown and the entire Scott County area. Our professional, industry certified network technicians can troubleshoot and repair your existing network, or perform complete installation and configuration of entirely new network infrastructure. From troubleshooting ISP modems, configuring routers, and installing managed switches to pulling completely new voice and data cabling for network, VoIP and PBX telephone systems, we have you covered. Our wireless wifi installation, configuration and repair services are unbeatable. Our technicians are experienced, and have the tools and knowledge to take care of all of your network needs today. Whether you need a simple voice or data jack repaired, or entirely new structured cabling to support a new office or office expansion, our technicians are prepared and ready to make it happen. Give us a call today and let us show you why we are Georgetown’s superior choice for voice and data network services! (859) 780-3020. Georgetown KY Complete Onsite Network Installation, Diagnose & Repair Services. Cat5e & Cat6 Data Cabling. Router Installation, Configuration & Replacement. Switch Installation, Testing & Replacement Services. 66Block Installation, Troubleshooting & Cross Connect Services. Existing Data & Telecom Cabling Diagnose & Repair Services. Wireless WiFi Installation, Troubleshooting & Repair. Complete Inside Wiring Survey & Installation Services. Georgetown Kentucky Point of Sale Network Diagnose & Repair Services. Our Professional Onsite Technology Services in Georgetown KY. Since 2008, Computech Technology Services has provided the highest quality onsite technology services available in Georgetown and the surrounding region. Our experienced onsite computer repair, network, and voice and data cabling techs provide convenient, fast, and affordable onsite technology services to commercial and residential locations with no monthly fees and no long term contracts. Our on demand tech support services are simply pay as you go, and we can have one of our courteous and friendly techs to your location the same day you call. It’s extremely simple, when you need service, we are there for you, so give us a call today and let us be your onsite technology services provider this time, and every time. You’ll be glad you did. (859) 780-3020.